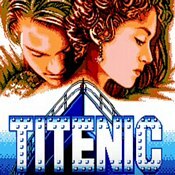 Description: The complete story of the Titanic on the NES. Featuring the same characters from the movie. Jack is on a mission to save his love Rose. The ship is flooding and bad people want him dead. An amazing fan created adventure!